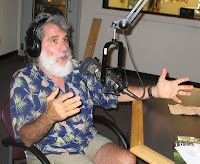 American Botanical Council director Mark Blumenthal in the studios of KOOP-FM in Austin, Texas, Friday, June 15, 2012. Photo by Thorne Dreyer / The Rag Blog. Inset photo below by Tracey Schulz / Rag Radio. 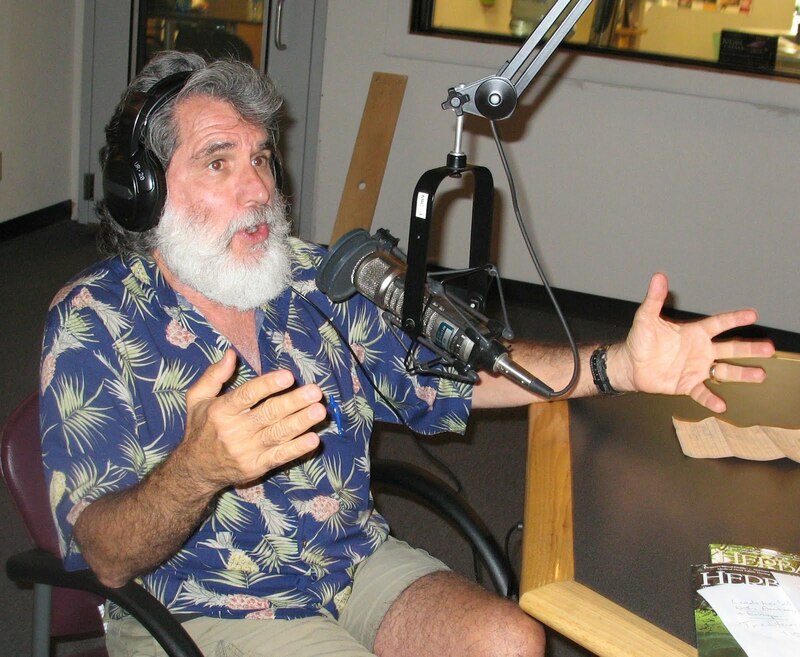 Mark Blumenthal, the founder and executive director of the American Botanical Council (ABC), an "independent herbal think tank," discussed herbal and alternative medicine with Thorne Dreyer on Rag Radio, Friday, June 15, 2012, on KOOP-FM, Austin's cooperatively-run all-volunteer community radio station. 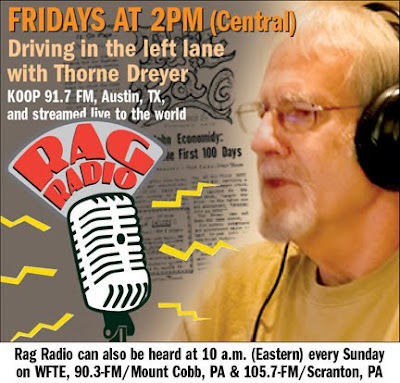 Rag Radio is also streamed live to a worldwide Internet audience and is rebroadcast Sunday mornings on WFTE-FM in Scranton and Mt. Cobb, PA.
On the show, Dreyer and Blumenthal discuss issues involving research, regulation, marketing, and responsible use of medicinal plants and other alternatives to conventional Western medicine. Mark Blumenthal heads the American Botanical Council, an independent, nonprofit organization "dedicated to disseminating accurate, reliable, and responsible information on herbs and medicinal plants," and is the editor and publisher of HerbalGram, an international, peer-reviewed quarterly journal. Mark has played a major role in "opening the doors" between alternative and conventional medicine in this country and his group has worked to create an interface between the interests of consumers, the herbal industry, and the scientific and research communities. Mark Blumenthal has been a leader in efforts for more rational regulations of herbal and natural product manufacturing, and education on alternative and traditional medicines. He has written that "herbs represent the collective heritage of our planet. The use of plants and plant parts for medicine and food is part of what we've inherited from our ancesters." Blumenthal was an Adjunct Associate Professor of Medicinal Chemistry at the University of Texas at Austin, co-founded the Herb Research Foundation (HRF), was president of the Herb Trade Association, and was a founding board member of the American Herbal Products Association (AHPA). 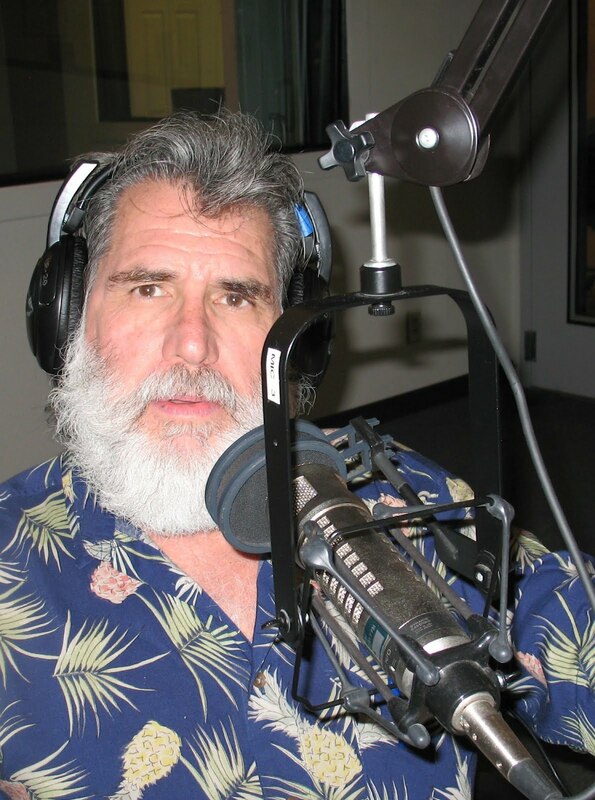 He has appeared on numerous radio and television shows and has written reviews and book chapters for many major publications. Hosted and produced by Rag Blog editor and long-time alternative journalist Thorne Dreyer, a pioneer of the Sixties underground press movement, Rag Radio is broadcast every Friday from 2-3 p.m. (CST) on KOOP, 91.7-fM in Austin, and is rebroadcast on Sundays at 10 a.m. (EST) on WFTE, 90.3-FM in Mt. Cobb, PA, and 105.7-FM in Scranton, PA. The show is streamed live on the web by both stations and, after broadcast, all Rag Radio shows are posted as podcasts at the Internet Archive. June 22, 2012: Gay marriage and social change in America with Gail Leondar-Wright and Betsy Leondar-Wright. June 29, 2012: Peruvian Sociologist Cristina Herencia on issues confronting indigenous peoples in global times.